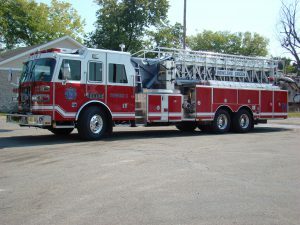 Has this ever happened to you: You’re sitting at an intersection patiently waiting for your turn and here comes the Fire Department with red lights and sirens blaring. They pass through the light and all of the sudden their lights and sirens go off. You’ve missed the light and feel like they have abused their power. 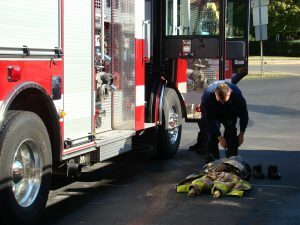 We occasionally have someone stop into Fire Headquarters to complain about this scenario. Whenever the fire department responds and uses lights and sirens, they do so based on the best information they have at that moment. Frequently, all they know is that a fire or a fire alarm has been reported and it is their job to respond as quickly and safely as they possibly can. If it is a multi-truck response, the vehicles try to stay together in a convoy so passing through intersections is done all at once. This is safer for the fire department and the public. It is not uncommon to receive updated information while in route that causes the truck to downgrade their response. This information may come from an alarm company, an official already on the scene, or from a BGFD responding unit from a different station. Sometimes these calls are received as an engine passes through a light. With more than 5,000 emergency responses each year, sometimes it just happens. 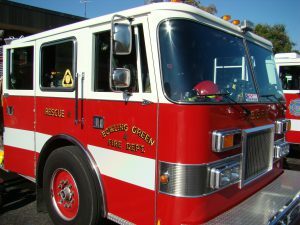 When new information leads to a downgrade in response, BGFD turns off their lights and sirens and they either continue with the “flow of traffic” or “cancel and return to the station” depending on the situation. Please bear with all of our public safety employees as they respond in the safest way possible even though it may be frustrating to you as a driver. And rest assured, we never use our emergency lights and sirens to pass through an intersection unless we are actively responding to a reported emergency. Not only is it against state law, it is against all professional rules for operating an emergency vehicle. If you have any questions about the travel of BGFD or any of our public safety officers, please feel free to contact us at 270-393-3642.